In September 2018, the BFUG formally established this Thematic Peer Group A on Qualifications Framework (TPG A on QF) – more specifically on Key Commitment 1: a three-cycle system compatible with the overarching of the EHEA and first and second cycle degrees scaled by ECTS – based on the interests and needs indicated by the BFUG members and Consultative members in a survey conducted during the summer of 2018.
relationship between the qualifications frameworks and quality assurance. 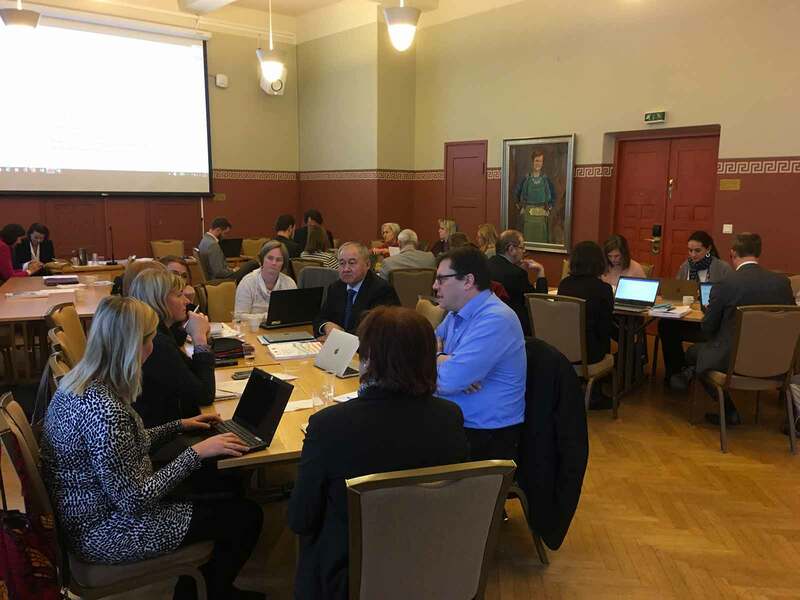 The members of the Thematic Peer Group met for the first time and discussed the work plan of each single country and the overall work plan of the group. Albania, Andorra, Armenia, Azerbaijan, Belarus, Belgium Flemish Community, Bosnia and Herzegovina, Bulgaria, Croatia, Council of Europe, EI-IE, Estonia, ESU, EURASHE, European Commission, Georgia, Germany, Greece, Hungary, Malta, North Macedonia, Poland, Romania, Spain, Turkey.